Building and sustaining Oahu’s tight-knit business community has never been based on mere self-interest. That’s why Lifeline Fire & Security makes it our business to lend a helping hand when it’s needed. To request our participation in a qualifying community project or event, please call us at (808) 548-5433. 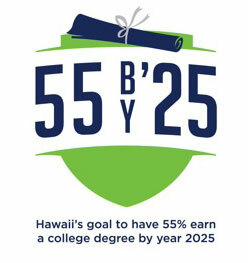 Hawai‘i P-20 Partnerships for Education is proud to announce a radio campaign that raises awareness about Hawai‘i's education goal: for 55% of Hawai‘i's working age adults to have a college degree by the year 2025. Called "55 by '25," the campaign brings to attention the many actions people can take to achieve this important goal and how we can support those who are already working hard to promote student achievement and success. Our radio commercials encourage listeners to visit our website atwww.55by25.org. On this site are a number of ways for people throughout our community to pitch in and get involved. "I would like to thank you for choosing to donate your car through our Wheels for Wishes program. The proceeds from you vehicle doantion directly benefited Make-A-Wish Hawaii and will help make wishes come true for chidren who face life threatening illnesses." "On behalf of the NFL-YET Hawaii - Boys & Girls Club of Hawaii in Nanakuli, we would like to thank you for your generous donation to provide one of our youth, Aisea Totau, the opportunity of a lifetime. With your contribution, this will help Aisea travel with the selected Boys & Girls club members from other clubhouses to Santa Monica to participate in a Biddy Basketball Tournament, participate in recreational activities, visit college campuses, and meet other youths. We truly do appreciate all you folks do to make our facilities safe and continuing to provide support to the youths we serve in our community." On behalf of the staff and board of directors if Anuenue Christian Church, thank you for your continued, generous support of our Christmas Dinner for the residents of West Loch Elderly Villages. Your generous donation of chars for our dinner helped make this dinner successful. To succeed in today’s information age and to prepare for a dynamic and ever-changing future, Hawai‘i’s high school students are encouraged to earn the Hawai‘i State Board of Education’s (BOE) Step Up Diploma. This diploma, available for the graduating classes of 2013 and beyond, is different from the regular high school diploma. It includes more challenging classes in math, science and writing, and it also includes the completion of a senior project. Upon graduation, students who earn the BOE Step Up Diploma are eligible for incentives for stepping up to this challenge. Plus, they are better prepared to succeed after high school, whether they choose to attend college or choose a career. Finally, we proudly share our resources with local feed the homeless programs on a routine basis. To request our participation in a qualifying community project or event, please contact us at (808) 548-5433.